For winter indoor gardening make a cold frame. Learn more here. Use a cold frame for your winter indoor gardening. 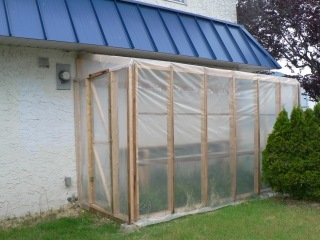 A cold frame is a structure used for winter indoor gardening. It usually has a slanting transparent roof. It works by capturing the heat of the sun during the day and then holding it inside over night so your plants will grow even if it is freezing outside. The best area to put a cold frame is in a warm sunny spot against your house or a shed. Make sure it is placed in a sheltered area especially if you get a lot of wind. What will you use a cold frame for? 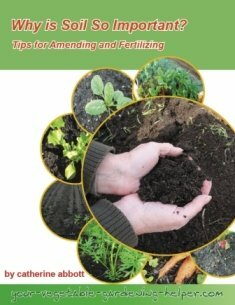 Over wintering your tender vegetable plants. Grow happy seedings in the spring or fall. Moving young vegetable plants from a warmer greenhouse to a cooler area before transplanting them outside. 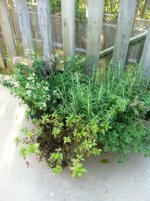 Use it as a raised bed in the summer months by removing the roof. It can be as simple or as elaborate as you want it to be. Common materials used for the sides are wood, bricks or concrete blocks. After you build your structure, cover the floor of the cold frame with 3 to 4 inches of sand. This will help with drainage, which can become a problem especially if you live in a wet winter climate. Place your vegetable pots directly on the sand. If you want to start you vegetable plants directly in the cold frame spread a 3 inch layer of potting mix and plant your seeds directly in the mix. If the weather gets below freezing extra protection of a tarp or piece of old carpet will keep your plants warm and happy. If it is warm during the day, prop the roof open so it does not get too hot. Extreme temperatures are hard on some vegetable plants. Know your favourite vegetable plants. This is a cold frame with an electric heating cable buried in the floor or sand. This is useful for germinating seeds quickly. You can sow seeds in pots to be transplanted in other areas of your garden later. If you want to extend your growing season and the cold frame is not large enough for your needs try a walk in tunnel.